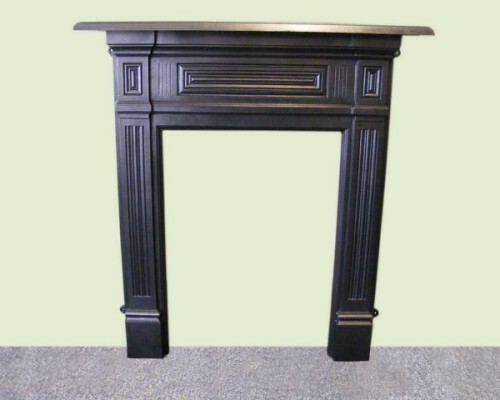 Shop for Antique fire surrounds and inserts which are available separately. 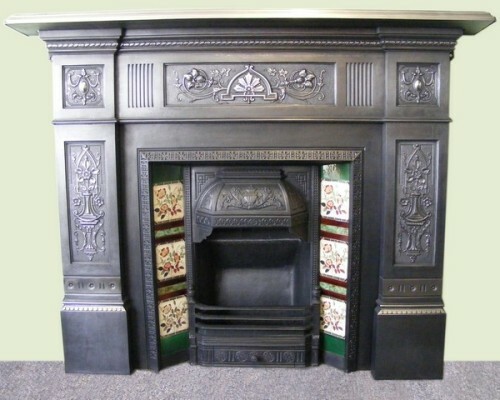 These include all of the antique grates, tiled surrounds and mantelpieces that you see above. 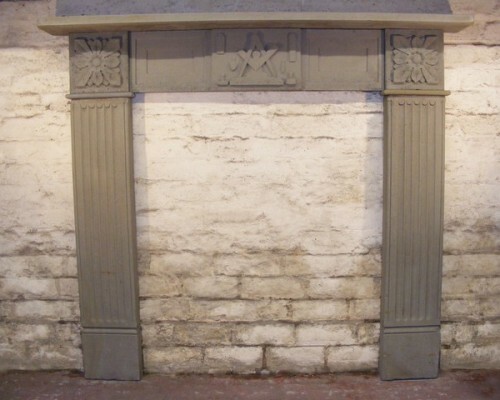 When we reclaim a fireplace we are often presented with just the inner so there is a good selection of surrounds to go with them. 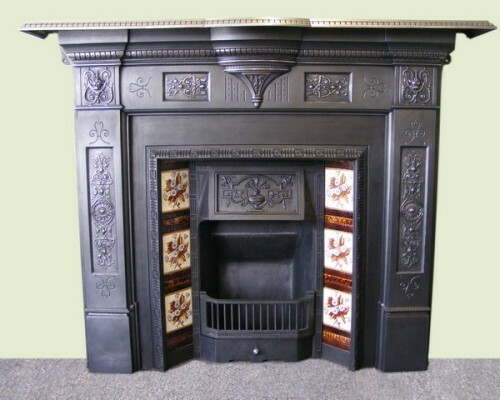 There are many different types of fire surround as you can see. 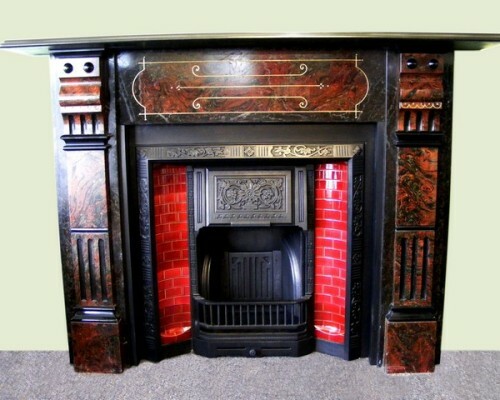 Quite traditional in that the tiles are inserted into the sides of the fireplace. These are often highly decorative with floral and other interesting patterns. Some can be quite valuable so we always aim to keep the original tiles. This is not always possible so they may need to be replaced. 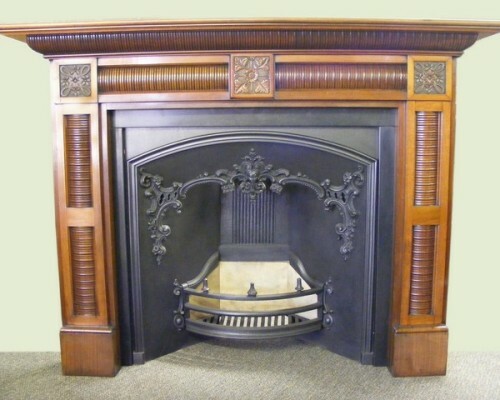 We also supply a good variety of surrounds made from wood from mahogany, elm and even fruitwood. 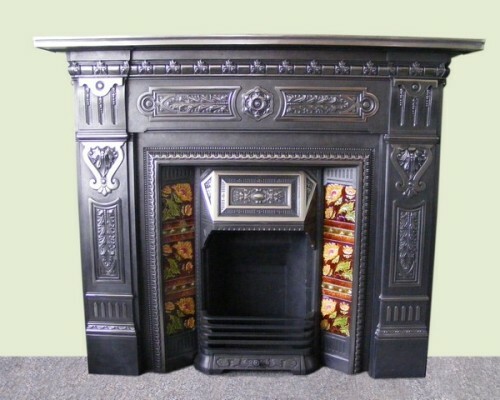 These were particularly in the nineteenth century and we have a nice selection of wooden Victorian fire surrounds in stock. Please visit our showroom in Irlam where you will able to browse the full selection. 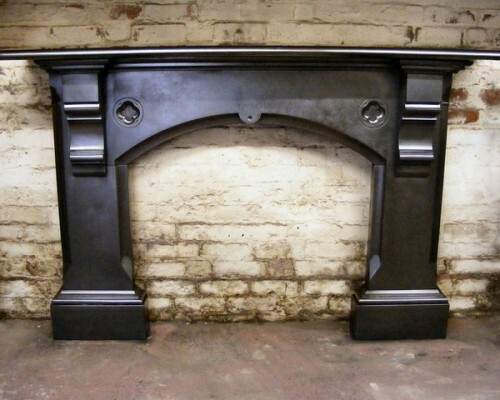 Made from heavy cast iron these surrounds match the original fireplaces that they were often matched with. We clean these up, removing any rust and polish them deeply so that they are restored to their original condition. 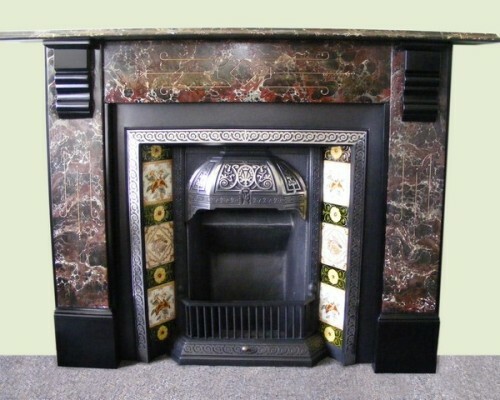 We have various Victorian fire surrounds as well as pieces from other periods. 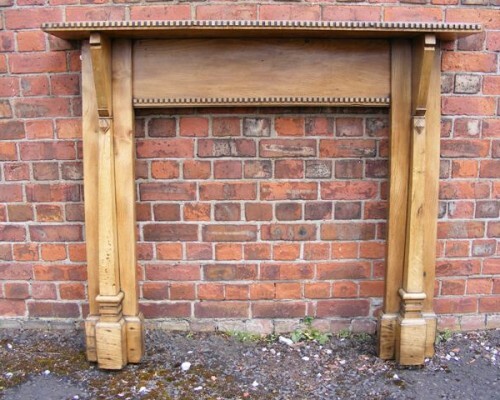 These will combine with an antique cast iron mantelpiece. 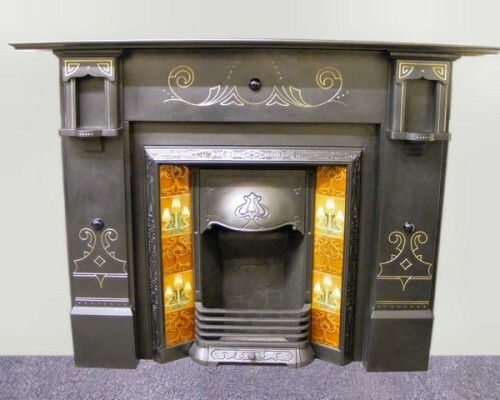 From various periods we have a big collection of alternative fire surrounds from Georgian up to Edwardian, where the Victorian fire surround is very popular. 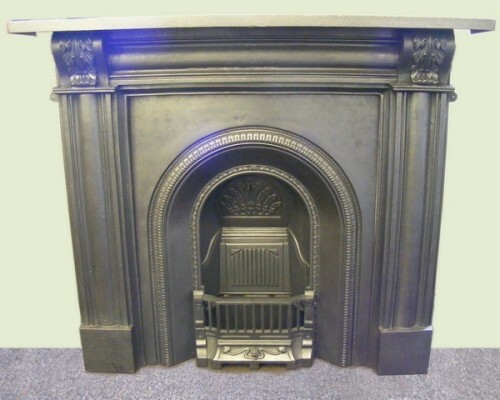 Often combined with the fireplaces themselves these are often sold separately so please come in and take a look at our current stock. Hob grates are harder to find so you may wish to give us a call to check our current stock.